Teddy Blue Books, 9780996972413, 332pp. 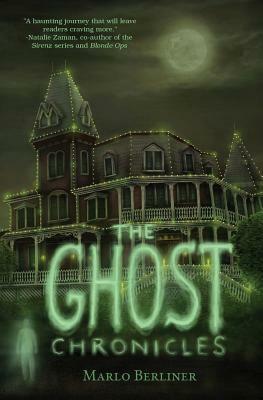 THE GHOST CHRONICLES by Marlo Berliner is a YA paranormal with romantic elements and adult crossover appeal, perfect for fans of If I Stay, Twilight and the movie, Ghost. Michael Andrews had everything - a loving family, a great girlfriend and a promising basketball career. That was before the accident that took his life. Now, he's a ghost, wandering among the living, struggling to understand why he's stuck. All he wants is to move on. To make matters worse, there's also a danger in going too far with Sarah, because the "joining" of two souls in the afterlife is also strictly forbidden and they don't know what will happen if they do go that far. Each time they touch they can feel the boundaries of their energies slipping perilously into one another. Things get even more complicated as Michael learns he's being pursued. Demons are after him because he's a marked soul, a soul the devil wants very badly for some unknown reason. So, maybe falling in love in the afterlife isn't such a good idea.